The Research and Curriculum Unit (RCU) at Mississippi State University provides comprehensive program evaluation services, from proposal development to outcome assessment. Each evaluation plan is tailored and carefully aligned to the the project’s objectives and guiding research questions. Our approach is collaborative in order to provide relevant, actionable feedback that meets your needs. The RCU team has extensive experience designing and conducting research and evaluations in a variety of settings, including PreK-12, higher education, education policy, non-profits, and federally-funded programs. In adherence to the standards for evaluators set forth by the American Evaluation Association (see below), RCU researchers regularly engage in professional development and education relevant to evaluative research, qualitative and quantitative methods, and project planning and management. We strongly believe that high-quality evaluation services yield critical information for the whole of the project period. More specifically, a good evaluation plan can reveal weaknesses in the initial project design. Well-planned evaluative processes offer principal investigators and researchers recommendations for process changes that will improve the day-to-day implementation of the work. Finally, a high-quality evaluation identifies benefits and successes of the completed project that may have been overlooked, and presents the results in a way that is clear, professionally formatted, and useful to stakeholders. What are the benefits of an evaluation? How can evaluation help me as a project director? It’s common to think of the evaluation as a summary of project outcomes upon completion of the work; however, that model misses the true value of evaluation. A good evaluator designs a research plan that gives regular, targeted recommendations to the project director or principal investigator to inform adjustments that can improve the day-to-day project activities. We understand that project leaders need feedback that is data-driven and actionable, and we believe that high-quality process recommendations are essential to a successful, sustainable project. What services are included in an evaluation? The evaluation we provide depends completely on the needs of your project. Some smaller projects may only require an external evaluator to certify that grant activities are progressing according to schedule. Other projects demand stakeholder interviews, analyses of quantitative data, classroom-observation protocols, and a full range of promotional and reporting materials. Our team will work with you to determine the services that fit your project and your budget. How much should I budget for an evaluation? The evaluation budget is determined by many things: funding-agency guidelines, overall project budget, scope and size of the project, and the evaluation services required. For this reason, we recommend that you contact us as you decide to submit a proposal; we will work with you to develop an evaluation plan and budget that meets the scope of your project and funding-agency expectations. Why should I choose the RCU to serve as my project’s evaluator? 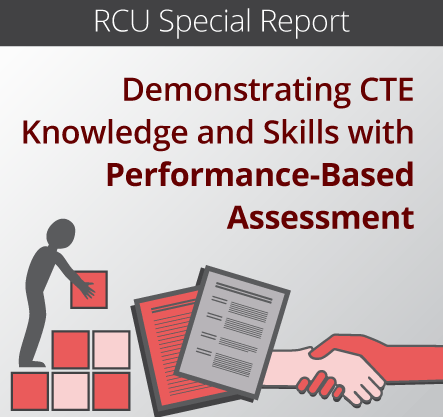 The RCU research team has a record of both large- and small-scale evaluations, many of which are detailed here. Is your proposed project brief in duration or long-term? Will it require one evaluator or several? Do you simply need someone to certify data analyses, or will you require a full range of analytic and communication support? No matter your answer to these questions, the RCU is capable of giving your project the time and attention you require. Besides high-quality evaluations designed and conducted by experienced researchers, the RCU provides value-added expertise to your project. RCU evaluators are published researchers who understand the reporting requirements of funding agencies. Evaluation documents are professionally copyedited to ensure highest quality research briefs, white papers, and reports. If your project requires promotional activities, the RCU has a full-time graphic designer and dedicated communication experts to assist you. An on-site print shop can provide posters, pamphlets, brochures, or even booklets, depending on your needs, as well. Do you subscribe to specific evaluation guidelines or ethical standards? Our evaluation team members belong to the American Evaluation Association (AEA) and subscribe to the AEA quality and ethical standards. You can view those here. Can you serve as an external evaluator to Mississippi State University projects? Yes. The RCU has served as the external evaluator for a variety of Mississippi State University projects, across multiple colleges and departments. Our local presence allows us to be as hands-on as you wish, especially in terms of observation of project activities and communication with stakeholders. What scope of projects does the RCU evaluate? We have experience with large-scale, longitudinal projects as well as small projects that mostly require certification of project activities. Contact us for a tailored evaluation plan. I’m thinking of writing a proposal that involves K-12 education. 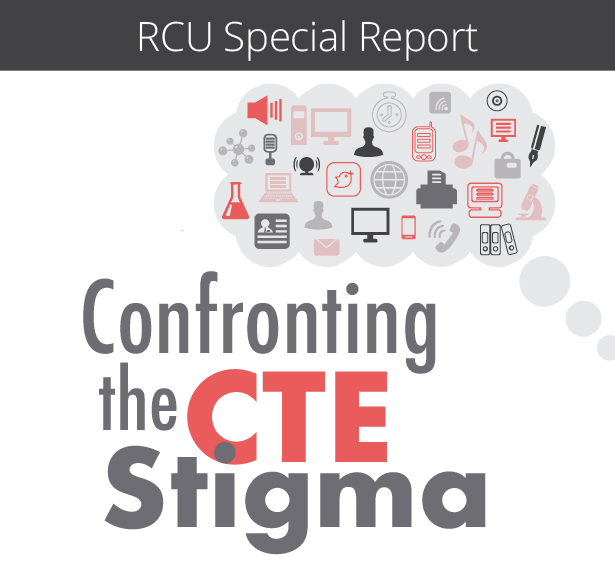 How can the RCU help? The RCU employs a staff with expertise in curriculum design, teacher professional development, assessments, and rigorous educational research. We employ content experts with educator licensures in science, mathematics, social studies, literacy and language arts, career and technical education, computing, and more. A selection of staff members also hold advanced degrees and endorsements in special education and gifted education. In other words, whatever your project, there is someone at RCU who can contribute to your success. It can be difficult for project directors and principal investigators to find school district research participants. Often, project personnel have difficulty choosing districts that best fit the project or communicating the benefits of participation to schools. The RCU is well connected to districts across the state of Mississippi and to the Mississippi Department of Education. These connections can help you form partnerships for recruiting pilot schools or educator participants, and we can help you secure letters of commitment before you submit your proposal. I’m thinking about submitting a proposal to a funder. Should I reach out to the RCU before or after I know if I’ve been funded? It’s best if you contact us as soon as you’ve decided to submit a proposal. Over years of evaluation experience, we have gained insight that will help you think about ways to improve your idea and hone your research questions. Additionally, as grant writers who have also served as readers for federal competitions, we have experience that can help you strengthen your proposal and distinguish it from others. Finally, we can help you decide the size and scale of evaluation that makes sense for your project. Who writes the evaluation section of the grant proposal? The RCU evaluation team has extensive experience designing and writing evaluation proposals and can assist you with this task as needed. We also have served projects that were already funded and can ably assume the evaluation activities that you set forth in your proposal. Can RCU help me develop an evaluation budget? Yes. As a rule of thumb, the evaluation budget is primarily determined by the amount of time and effort required to conduct the evaluation study, along with any travel necessary. As with all aspects of developing a proposal, it’s best to contact us well in advance to collaborate to develop a budget that works for your project. Who writes the reports to the funding agency? Typically, the RCU writes the evaluation reports. We deliver a professionally written and copyedited document to the entity specified by the project director. In some instances, funding agencies have their own data-management systems that require uploaded quantitative analysis results; the RCU can enter that data or send it to project personnel for reporting purposes. We are happy to tailor a reporting plan to your needs. Can you help us publicize/disseminate the findings of our research? Yes. Our team of published researchers can help you find outlets for disseminating your research and can assist in readying your manuscript. We also have the capacity to produce white papers, research briefs, and other promotional material about your project; we can also professionally design and edit your own documents. MSU was awarded a grant to continue its participation in the CyberCorps: Scholarship for Service program, which prepares highly qualified cybersecurity professionals for entry into the government’s workforce. The project will support approximately 39 students across a five-year period. After graduation, CyberCorps scholars must serve one year with the government for every year of program scholarship received. The RCU, as the program’s evaluator, will measure the program’s progress toward its intended outcome of preparing scholars for effective government service in cybersecurity. For more information on the CyberCorps evaluation, please contact Jason Hauser at jason.hauser@rcu.msstate.edu. Algebra Nation is a multimedia mathematics program that was being piloted during the 2016-2017 school year in several high schools in the Mississippi Delta region and is now expanding across the state. The RCU has designed an evaluation model to investigate the strengths and overall effectiveness of Algebra Nation. This research utilizes an experimental design and includes both qualitative and quantitative data analyses. Evaluation activities include gathering teacher and student feedback on attitudes toward the program, observing implementation in classrooms, and examining assessment data to compare student growth in experimental and control schools. For more information on the Algebra Nation evaluation, please contact Denise Sibley at denise.sibley@rcu.msstate.edu. MSU’s Department of Anthropology and Middle Eastern Cultures has received a Fulbright-Hays award to build connections between Mississippi educators and Middle Eastern culture. A group of MSU faculty and local high school teachers will spend four weeks in Israel and Jordan to visit museums, cultural heritage sites, and universities. The RCU will conduct an evaluation of the project to measure progress toward its major objectives, which include introducing educators not only to the culture, language, and history of the Middle East, but also to the various ways in which memory is integral to understanding the highly contested relationship between these two countries. The Mississippi Department of Education has secured a William K. Kellogg Foundation grant to improve the ways that teachers and parents can help students meet the recently developed Mississippi College- and Career-Readiness Standards (MCCRS). In particular, the work includes developing exemplar lesson plans in mathematics and English language arts for teachers to use in their classrooms. A secondary component of the project is a series of parent nights to support parents in helping their students understand important MCCRS concepts. The RCU will serve as the external evaluator for this project. The essential goal of the evaluation plan is twofold: (1) to determine the extent to which and the ways that teachers used exemplar lesson plans in their classrooms, and (2) to determine the extent to which and the ways that parents used material provided to them in the parent night modules. To measure these objectives, the evaluation uses a mixed-methods approach, including survey data, observation, levels of use interviews, and other evidence of project activity. Formative benchmarks are built into the evaluation design to obtain feedback from stakeholders and project participants, so that changes can be made during project implementation that support project goal attainment. The Office of School Improvement (OSI) at the Mississippi Department of Education piloted a new school improvement process in 2015-2016. The RCU’s external evaluation of the revised process during the pilot year yielded several key recommendations for improving both the process and its results. The RCU continues the evaluation of the implementation of the OSI support model, and the OSI has identified new areas of emphasis while continuing to pursue the original goals of the revised process. The RCU will again provide both evaluation of the progress toward those goals and implementation support for the current school year. Partners included Mississippi State University College of Education, the Mississippi Department of Education, and a consortium of 20 high-need, rural local education agencies. Teacher Education for Rural Middle Schools (TERMS) is a recruitment and alternate-route degree program for the state of Mississippi and has established the Master of Arts in Teaching—Middle Level Alternate (MAT-M) program. This five-year, multifaceted program developed and expanded alternate routes to Mississippi teacher certification for highly qualified mid-career professionals, recent college graduates who did not major in education, individuals with emergency certification, and highly qualified paraprofessionals. The program focused on recruiting, training, hiring, and retaining these new teachers for critically understaffed positions in high-need middle schools throughout the state. 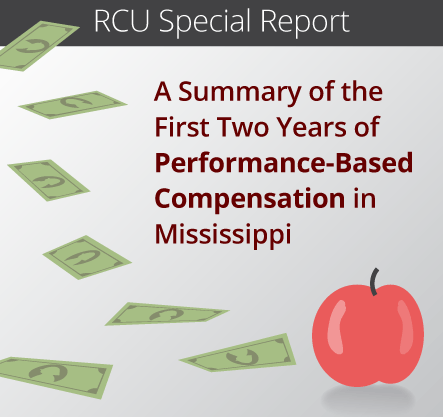 In the evaluation of MAT-M, the RCU compared teacher participants to a control population of new teachers who completed their education through the traditional route and were entering their first year of teaching in Mississippi schools. A baseline of data collected through this study provided a foundation for comparison. The Smart MATerials Design, Analysis, and Processing (SMATDAP) consortium leveraged cyberinfrastructure investments in Louisiana and Mississippi; regional intellectual talent in polymer synthesis and process control; and unique, locally developed advanced polymerization monitoring technologies to accelerate development of stimuli-responsive polymers and positively impact the regional economy. As Mississippi’s internal evaluator for this project, the RCU conducted formative evaluation to assess performance and provide feedback for project improvement to ensure continuous progress towards the consortium’s research, diversity, engagement, and sustainability goals. The RCU also provided summative evaluation to determine the degree of success in achieving project goals. Excellence for All was one of six innovative high school models Mississippi piloted in select school districts. The purpose for the evaluation was to determine how pilot schools implemented the program, how funds were allocated, and to whether the program progressed toward the goal of improving the graduation rate and preparing students to be college and career ready when they leave high school. Approved in the 2012 legislative session, SB 2792, known as Mississippi Works Dual Credit/Dual Enrollment (MS Works), created a unique opportunity for recent dropouts and those at risk of dropping out to finish their high school credits at a local community college (dual enrollment) while simultaneously earning community college credit (dual credit). The innovative high school model was designed to serve the small population of students whose needs are not met in a traditional high school, and it aimed to benefit all parties involved: the students, by helping them graduate and matriculate to a postsecondary program; the high school, by decreasing dropout rates; and the community college, by increasing enrollment and matriculation rates. Additionally, the legislation specified that the Mississippi Department of Employment Security would assist program completers in securing a job after graduation, a provision that helped this program meet the needs of students at all levels: secondary, postsecondary, and work placement. The RCU evaluated the initiative to inform the Mississippi Department of Education on implementation and program outcomes at community colleges across the state. BPC-DP: Defining a Complete Educational Plan to a Computing Degree was a demonstration project designed to increase the number of students entering and graduating from associate, bachelors, masters, and doctoral programs in computer science, computer engineering, software engineering, and business information systems at four institutions of higher learning in Mississippi, with emphasis on students from underrepresented groups, including racial minorities and women. As evaluator, the RCU used formative and summative evaluation strategies to assess the effectiveness of program activities and the impact of these activities on Mississippi State University and participating community colleges and students.